If you’re looking for a CMBS loan for a warehouse property, you’re in the right place. CMBS.Loans has extensive experience arranging financing for all kinds of warehouse and light industrial properties. 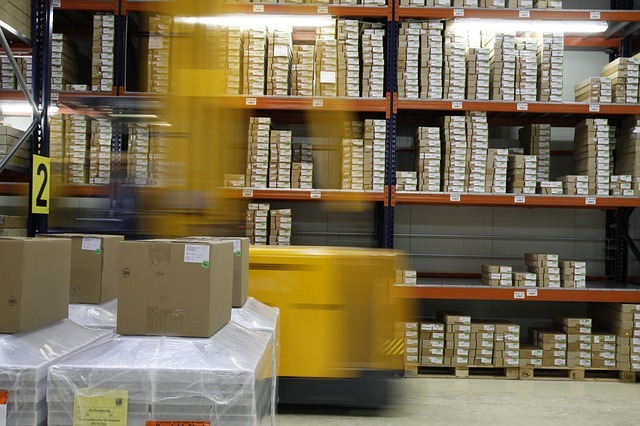 And, with the e-commerce industry booming, it’s never been a better time to invest in warehouse properties. According to research conducted by real estate firm CBRE, the most desirable and marketable warehouse properties are typically located on large properties close to large population centers. In comparison, less marketable warehouse properties are located near traditional heavy manufacturing centers and have little room for growth and expansion, so they may want to be avoided by investors. Buy a new warehouse: If you want to purchase a new warehouse property as an investment, but don’t want to deal with strict credit and income verification requirements, a conduit loan could be a great fit for your needs. Rate or term refinancing: If you have a high-interest commercial mortgage, and you want to refinance into a loan with a lower interest rate, you might be able to do so with a CMBS loan. Or, if you have a loan with an upcoming balloon payment (even another CMBS loan), you may want to refinance it in order to extend the term for another 5, 7, or 10 years. Get a CMBS cash-out refinance: Unlike many bank loans, conduit loans don’t have many cash-out restrictions— which means you can use them to pull a significant amount of equity out of a property. This money can be used for a variety of purposes, including remodeling the property, investing into a different business, or even purchasing a brand new investment property for you or your company’s portfolio. Traditional warehouses: With U.S. e-commerce sales reaching well over $300 billion a year, the demand for warehouse space is at an all time high, and CMBS loans are a great way to finance them. Light industrial properties: Packaging centers, buildings designed for light-manufacturing, as well as food production facilities are also in high demand, and can easily be financed with conduit loans. Mixed-use industrial properties: Mixed-use industrial properties, which typically combine warehouse space, light industrial or manufacturing areas, R&D spaces, and traditional office space, are quickly gaining ground, especially for companies that want to integrate production and management functions to increase efficiency and innovation. Just like traditional warehouses and light industrial properties, mixed-use industrial buildings are also fantastic candidates for conduit loans. If you’re looking for a warehouse or commercial property loan from $2,000,000 and up, simply click the button below for a fast, easy, and free quote from an experienced CMBS loan expert. You can also email us any time at loans@cmbs.loans.